There is a wonderful effect in magic that has found it's way into the acts of many performers called The Dancing Handkerchief. Probably the most iconic performer to present the effect was Harry Blackstone Sr., and then later his son Blackstone Jr.. Even David Copperfield made a hit out of this little wonder. But you might be surprised just how many well known performers and hundreds of lesser knowns performed this effect. I tried to track down the origins of the mystery, originally known as The Spirit Handkerchief. Magicpedia lists Nevil Maskelyene as the creator. I can find no reference in magic literature to Nevil Maskelyne having been the creator of the trick. thought I had the answer but then a second source listed a different name. Originally, I thought that Anna Eva Fay created this mystery. She began her career as a fake spirit medium and this type of effect would have been ideal for her 'Light Seance' segment. However, here is what I do know. In the 1870s, Anna Eva Fay was in England presenting her seances. She had encountered John Nevil Maskelyne, who was busy exposing all spirit mediums. There is a brief account of their altercation in White Magic by Jasper Maskelyne. 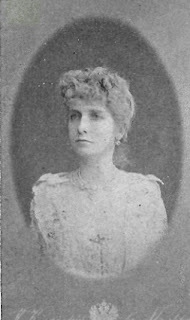 Shortly after this Anna Eva Fay returned to America and for a time was thought to be English, though she was actually from Ohio. So who created the Spirit Dancing Hank? Looks like the winner is Anna Eva Fay*. But I think I know why Maskelyne's name is connected to it. The Dancing Hank was often presented in conjunction with another effect which was sort of a mini-Spirit Cabinet. Two chairs were placed on stage. A sheet of glass was balanced upon the two chairs and then a small cabinet was placed upon the glass. Inside was a bell and a slate. This effect was the creation of Maskelyne. And it may have been Frederick Eugene Powell who first presented these two together in the United States. This information comes from Magic: A Pictorial History of Conjurers In The Theatre by David Price. 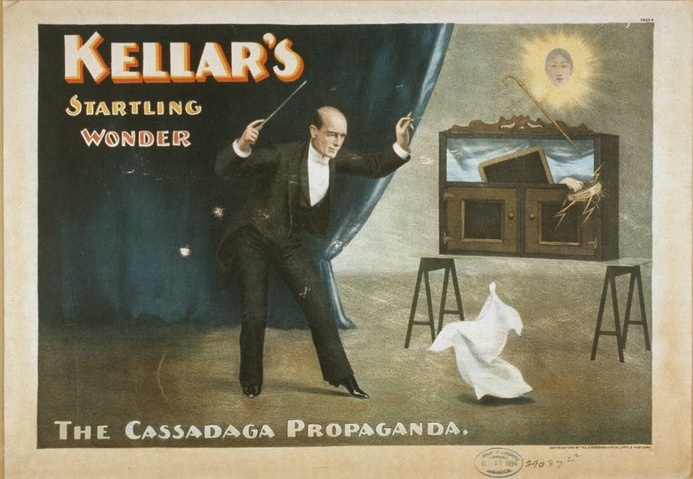 Cassadaga Propaganda. And from several different accounts, his Dancing Hank routine was a big hit. It's hard to say where he got it from, though he may have seen Maskelyne present it as he was known for stealing material from the Maskelyne show. 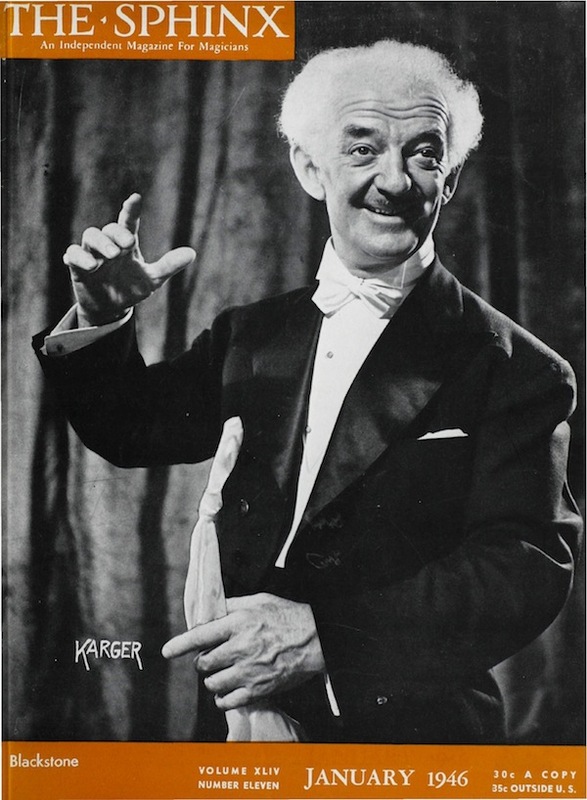 I found an interesting article in The Linking Ring Vol 40 #8, on a lesser known magician, John Grdina. In the article it says that Grdina taught none other than Harry Blackstone Sr. the Dancing Hank and whenever Blackstone was in Cleveland, he would mention it to his audiences. Grdina, as a youth apparently saw Harry Kellar first present the effect. He later would create some kind of version of his own. In the 1950s, along came Ralph Adams. He created a more elaborate version of the Dancing Hank that was different from the Blackstone version. Doug Henning later used the Ralph Adam's version in his shows for many years. Though it was still a piece of cloth becoming animated, it was a different routine from the earlier versions. Below is a shorter version of the Henning routine. Usually, Doug presented it onstage with one of his dancers. Then in the late 1970s David Copperfield debuted a new take on this classic effect. His version was the creation of Don Wayne and it combined aspects of the original with a sort of animated 'zombie' like effect. The Don Wayne version became all the rage for a number of years. Incidentally, the Don Wayne version may have been an updated version of the Joe Karson version known as Voodoo. One reason I think the Copperfield routine became so iconic was that he created a story based routine or a vignette. The magic was an important aspect of telling the overall story. And speaking of updating versions, the latest and most advanced version of the effect started with the Don Wayne method and flew out to the stratosphere thanks to magic creator Sean Bogunia. Sean has taken the basic effect, added multiple methods and truly brought the animated handkerchief to life in ways that no one ever thought possible. Because of his innovations, many performers present the Dancing Hank in their shows today. I'm not certain that anyone has really gotten the notoriety with the effect that the Blackstone's did. Though Sean is sure known as Mr. Hanky these days. This is by far a complete history of the effect but it does give you a good overview of the dancing hank through the years. Others have had innovations along the way as well, like Karrel Fox and Steve Dusheck. And a multitude of performers have presented this great effect. One thing is for certain, over 100 years later the effect of causing a bit of cloth or handkerchief to come to life and animate and dance is still an amazing and popular illusion. *Barry Wiley, author of The Indescribable Phenomenon, a biography of Anna Eva Fay, believes that in fact it was Maskelyne who created the Dancing Hank effect. His book is extremely well researched so now I'm leaning towards Maskelyne over Anna Eva Fay. so great, how to performe it?